Perhaps one of the most luxurious upgrades you can make to your home's climate control is underfloor heating. Underfloor heating can help solve the annoyance of constantly wearing socks or slippers to avoid uncomfortably cold floors. While underfloor heating can be costly, homeowners living in a colder region are often very happy with the upgrade. However, there are a few common misconceptions about radiant underfloor heating, especially whether they can be safely placed under wood floors. Today's underfloor heating systems are far more advanced and come in two main styles: hydronic and electric. Hydronic heating uses hot water to warm the floor and is often chosen for its higher energy efficiency compared to electric heating, and for its reliability. It can often be integrated into your current hot water heating system. Plus, hydronic underfloor heating systems are versatile, so they able to be installed in specific rooms as needed. Electric underfloor heating systems are cheaper to install than hydronic, though their energy costs will be higher. However, electric systems are much more responsive and heat up quicker than hydronic systems. This is beneficial for homes in areas where winters are cold and quick heating is ideal. Today, both of these systems can be safely used under a wide variety of different floors, including engineered wood flooring. 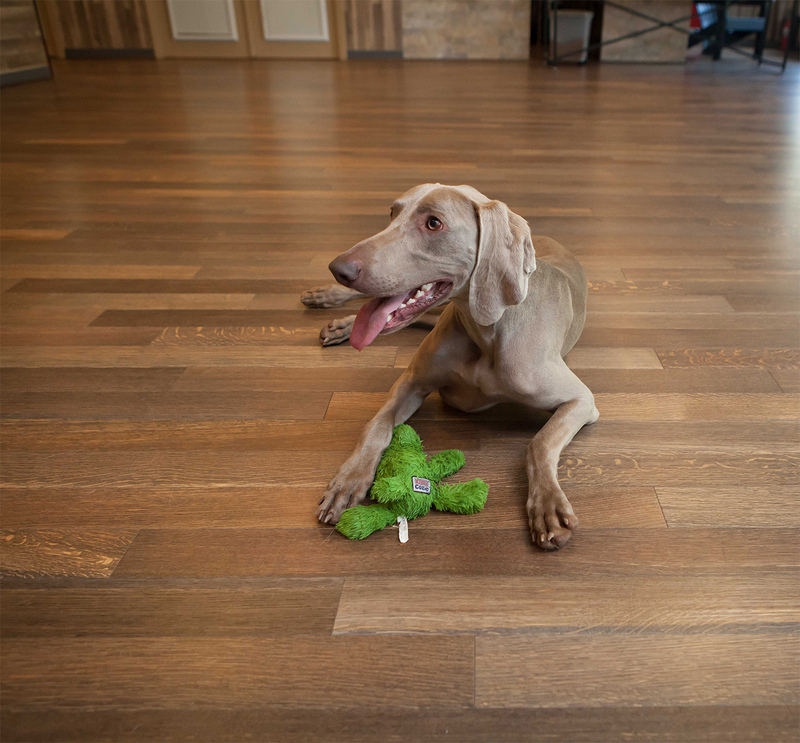 Wood flooring is the traditional flooring choice of homeowners, yet engineered hardwood offers the same aesthetic appeal as standard wood while being denser, more scratch-resistant and outlasting typical wood floors. Both electric and hydronic heating systems can be utilized with engineered wood. Hydronic systems are more popular but do require a structural floor remodel in most cases. For this reason, when homeowners are upgrading their home opt for hydronic, they replace their old wood floor with a new engineered product. Due to potential moisture concerns of hydronic systems, it’s important that a few factors be considered to ensure the best outcome possible. Floor temperature: The maximum temperature for the subfloor surface is 85ºF. In addition, the boiler temperature should never exceed 110ºF. Subfloor specification: Both plywood and concrete are appropriate subfloors, as well as a combination of both. Traditional hydronic systems will be placed on a plywood subfloor and encased in concrete. Heating tube installation: After tubes are placed and the self-leveling concrete has cured, the system should be tested prior to installing the hardwood. Climate controls: Complete periodic checks on the temperatures (listed above) and to ensure the humidity levels stay between 30% and 50% to avoid splitting or gaps in your hardwood. Keep in mind that engineered wood floors act as an insulator, so the heat produced by the floor won't have a substantial effect on ambient air temperatures, though it will feel comfortable to bare feet. If you're ready to bring underfloor heating to your own floors, there are two ways to upgrade your home. Electric heating systems often only involve removing the flooring and are a fairly simple renovation that experienced DIYers can complete themselves. Hydronic underfloor heating systems require a contractor to completely remove the existing flooring and alter the subfloor structure to accommodate the system. Although hydronic system installations are a bit more extensive, it does make for a great opportunity to change your flooring from standard wood or tile to engineered wood. 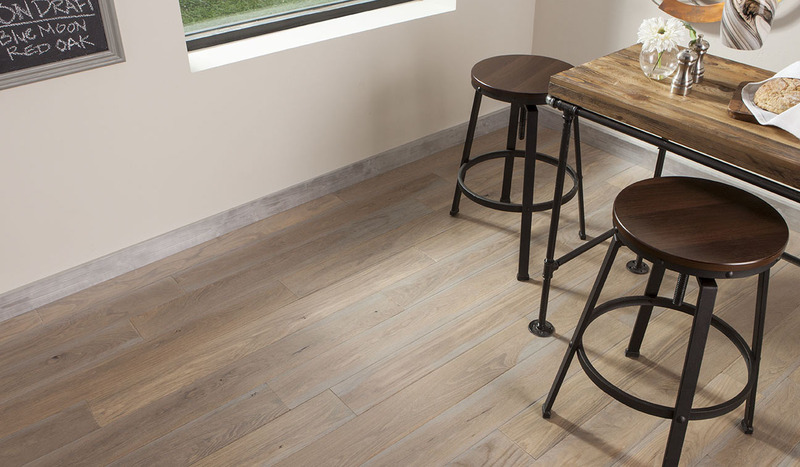 The durability, beauty and longevity of engineered wood flooring make it a perfect match for underfloor heating systems. As long as the flooring is installed properly, this is a completely safe flooring combination, and one that will offer benefits for many years to come. If you are considering installing underfloor heating in your home, be sure to check out Nydree Flooring’s engineered hardwood products to your new floor last for years to come.